Excellent electric cool box. Superb service. Fantastic next day delivery. Perfect. Thank you. 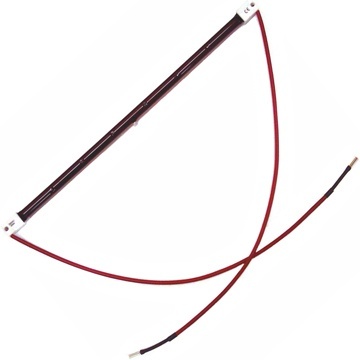 The 1500 Watt 1.5 kW Ruby SK15 infrared heater bulb is 352 mm ( 14" ) long and connects to the heaters contacts via wires at ether end of the lamps ceramic ends. If the heater uses 230 Volt 1.5kW bulbs around 35 cm long that connect with a wire these replacement lamps will fit. 1500 Watt 1.5kW Ruby SK15 heater bulb. For use with 220 - 240 Volt heater lamps. Infrared heat output 1.5 kW 1500 watt. SK15 ceramic end caps with 40 cm fly leads. Replacement 1.5 kW bulb for 1.5 kW heaters including Tansun Rio and Tansun Sorrento. Fits many 1500 and 3000 watt commercial infrared heaters. Heated area up to 10 square meters. Bulb length 352 mm (35.2 cm) (14 inch). 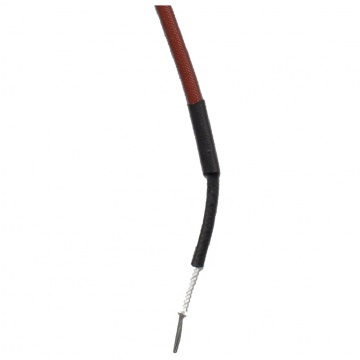 The ends of these 1.5kW SK15 heater bulb leads have 1 cm of exposed wire which can be increased and the ends can be shaped into a spade or loop or whatever is required. 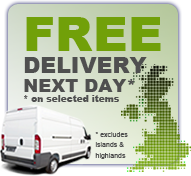 Same day dispatch if ordered by 3 pm, orders after 3 pm or at the weekend are dispatched the following working day.